Fuzzy social choice theory is useful for modeling the uncertainty and imprecision prevalent in social life yet it has been scarcely applied and studied in the social sciences. 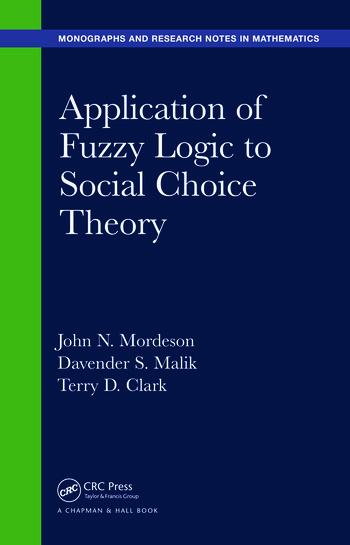 Filling this gap, Application of Fuzzy Logic to Social Choice Theory provides a comprehensive study of fuzzy social choice theory. 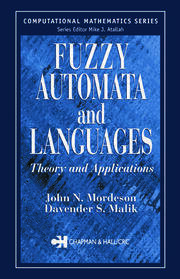 The book explains the concept of a fuzzy maximal subset of a set of alternatives, fuzzy choice functions, the factorization of a fuzzy preference relation into the "union" (conorm) of a strict fuzzy relation and an indifference operator, fuzzy non-Arrowian results, fuzzy versions of Arrow’s theorem, and Black’s median voter theorem for fuzzy preferences. It examines how unambiguous and exact choices are generated by fuzzy preferences and whether exact choices induced by fuzzy preferences satisfy certain plausible rationality relations. 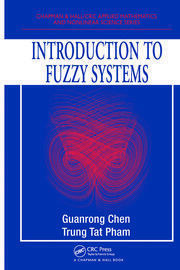 The authors also extend known Arrowian results involving fuzzy set theory to results involving intuitionistic fuzzy sets as well as the Gibbard–Satterthwaite theorem to the case of fuzzy weak preference relations. The final chapter discusses Georgescu’s degree of similarity of two fuzzy choice functions. Exercises and References appear at the end of each chapter. Dr. John N. Mordeson is a professor of mathematics, the John N. Mordeson Endowed Chair in Mathematics, and the director of the Center for Mathematics of Uncertainty at Creighton University. Dr. Mordeson has published 15 books and nearly 200 journal articles. He is an editorial board member of numerous journals and the current president of the Society for Mathematics of Uncertainty. His research interests include coding theory, fuzzy automata theory, fuzzy information retrieval, and fuzzy cluster analysis. Dr. Davender S. Malik is a professor of mathematics at Creighton University. His research interests include algebra, fuzzy automata theory, and fuzzy logic. Dr. Malik has published 17 books and more than 50 papers. Dr. Terry D. Clark is a professor of political science and the director of the graduate program in international relations at Creighton University. Dr. Clark has published four books and numerous journal articles. His research interests include fuzzy math spatial modeling, comparative politics, international relations, social network analysis, and intelligence analysis.